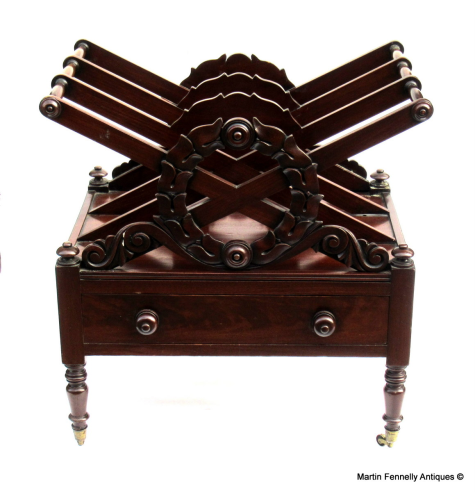 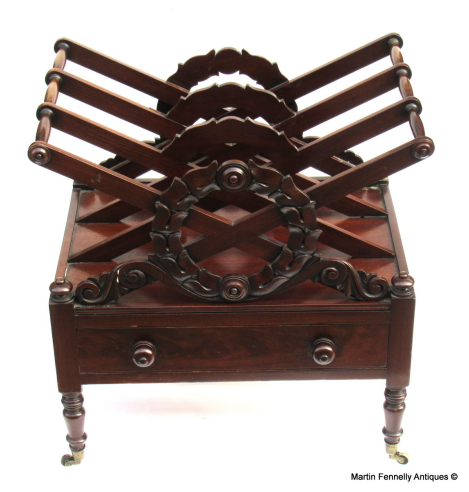 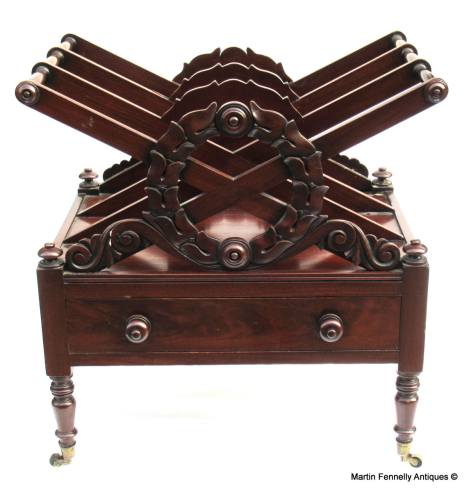 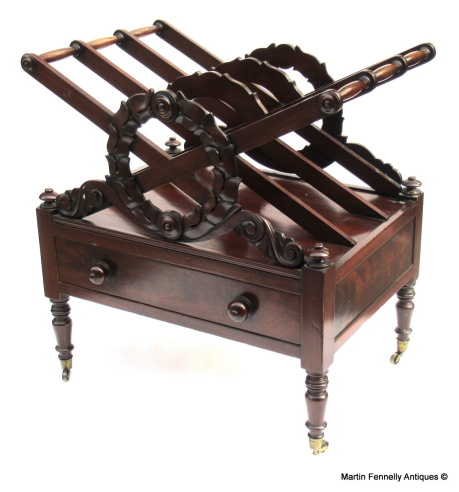 This is an Irish Regency Mahogany Canterbury (paper/magazine rack) dating to Circa 1820 and in good condition. 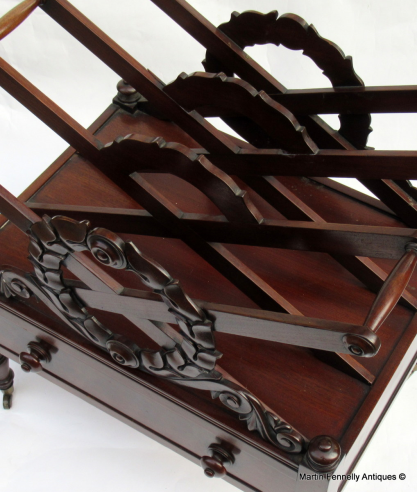 The three sections are perfect for storing magazines and newspapers. 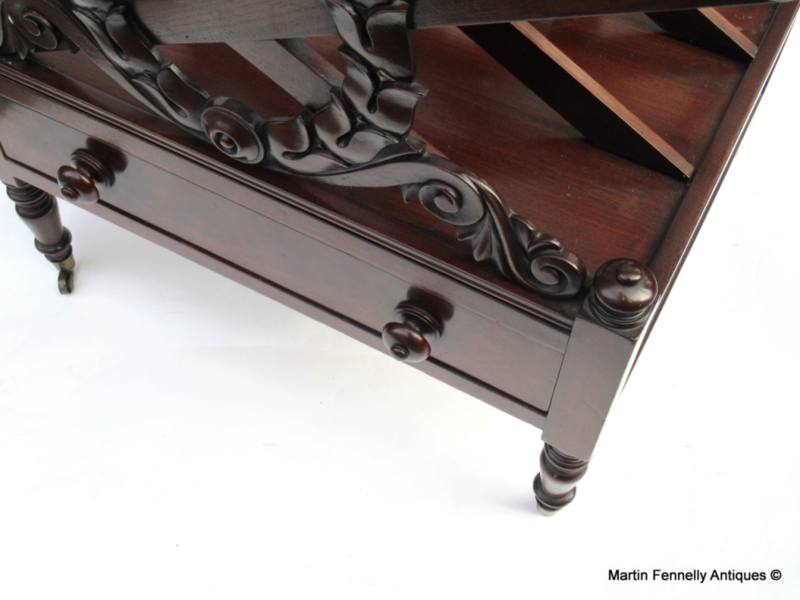 It is beautifully decorated with carved floral scrolling ends above a useful drawer and it is elegantly raised on turned tapering legs terminating in the original brass cap castors.This piece bears the label of Strahan of Dublin, one of Ireland most famed furniture makers and a rare find.